Peymeinade studio in a very peacefull area. The French Riviera... even the words have a grandeur, a cachet all of their own. The original French dream, as lived by Elton John, Posh and Becks, Tara Palmer Tomkinson et al. This dream involves owning a property on the French Riviera, which seems out of reach for most of us as prices are reputedly among the highest in Europe. But is it really an impossible dream, or are there parts of the French Riviera where affordable property can be found? The French Riviera is found in the south-east of France, along the stretch of coast that runs roughly from Marseille (Marseille Property Guide) to Nice (Nice Property Guide) and the Italian border. Purists may argue that the Riviera begins at Cannes (Cannes Property Guide), not Marseille, but it is a moot point. Why are French Riviera property prices so high? Property prices are high on the French Riviera for a combination of reasons. Firstly, there is the desirability factor. The French Riviera has a fabulous sunny climate (Weather in France), film star glamour and beautiful beaches, exclusive shops and endless entertainment, top restaurants, casinos, festivals, famous faces about town... what could be more attractive? Secondly, there is a limited area on which building can be done, and this always forces up prices as the law of supply and demand takes effect. Demand on the Riviera has always been greater than supply, forcing prices up. In global terms, the French Riviera ranks as an important and expensive property market, but set against desirable areas of for example, London, it offers good value for money with property at comparatively low prices. If you are one of the fortunate few for whom money is no object, then the French Riviera has lots of property to offer you. A luxury villa in Cannes may set you back millions of Euros, but comes complete with a near perfect climate, a jet set lifestyle and access to the most exclusive parties around! After Monaco (Monaco Property Guide), Cannes is probably the most exclusive and expensive place to purchase property. The film festival still attracts the top stars and massive media attention, and luxury property is in high demand during this time should you not be in residence yourself. If you have plenty of money to spend and want a piece of the good life, but are not quite in the Elton John price bracket, however, you may like to consider Beausoleil (Beausoleil Property Guide). Within spitting distance of Monaco, Beausoleil offers a variety of properties at less than half the prices found in the tax haven next door. If you have always rejected the idea of looking for property on the French Riviera for financial reasons, it may be time to think again. Although it is the traditional haunt of rock stars, film stars and the rich and famous, the times, as they say, are a changing. There are still plenty of famous faces about in Cannes and Nice, but the property market is experiencing an interesting development resulting in more and more affordable property becoming available. Cut price airlines such as easyJet have opened up the area to more people than ever before (French Connections), with the result that even more Britons are holidaying on the Côte-d'Azur (Provence-Alpes-Côte d'Azur Property Guide). These people need holiday accommodation at less than top prices, and this creates a market which simply didn't really exist before. Developers have spotted this trend and are creating studio and one or two bedroom apartments whereas once they would have built large luxury apartments. Of course, these are more expensive than a similar small house in for example, the Limousin or the Gers, but in investment terms they represent excellent value for money. The traditional type of property sought by a typical British buyer in France is a huge farmhouse, frequently in a state of disrepair, requiring considerable renovation, with a large garden or even surrounded by hectares of its own land. This doesn't, however, suit everybody. It can be wonderful if you are planning a full-time move, with perhaps a young family for whom a country lifestyle can be idyllic, and if you are prepared for the time and effort involved (not to mention the mess and upheaval) in the renovation process. If however, you are looking for a holiday home, a place where adults and teenagers can find plenty of year round entertainment, a place where you can spend hassle free holidays, then a lock up and leave apartment in the heart of a bustling French Riviera town may be much closer to perfect. The only snag, of course, is price. The French Riviera, like every other part of France, has areas which are more expensive than others. These tend to be the seafront or town centre locations, so looking towards the outskirts of the towns can be a good idea. The relative importance of the towns themselves can also affect the price of property, with Cannes at the highest end of the market. 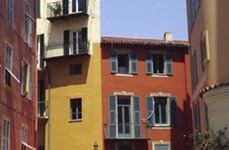 Property nearer to Marseille, in the Bouches-du-Rhône (Bouches-du-Rhône Property Guide), can be cheaper and is certainly worth considering, as it still offers access to the Mediterranean coast, the advantages of France's second city being on the doorstep and the same fantastic climate. Perhaps surprisingly, Nice too offers some great opportunities to own French Riviera property at bargain prices. Whilst much of Nice may be prohibitively expensive, there is some temptingly affordable property coming onto the market at the time of writing. A new property hotspot is being created in the Malaussena area, which is found to the north of the train station in Nice. There was little interest in the area until recently, as it was considered too far away from the attractions of the town and the beach to be desirable, but a new tram line has opened up the area and made travel between there and the beaches and town centre possible in not much more than five minutes! Developers have also achieved some very sympathetic reconditioning of the elegant old Belle Epoque and Bourgeois buildings found there, and created a number of small and infinitely affordable apartments and studios. At this time, it is possible to purchase a two bedroom apartment for only 135,000 Euros, a sum which would have been risible a few years ago. A studio or apartment in, for example, Nice or Cannes, should prove to be an extremely good investment. The rental potential, particularly in Cannes, is one of the best in Europe, so you are likely to get a very good return for your initial layout. 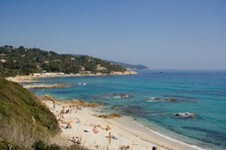 The appreciation factor is also significant, with property on the French Riviera appreciating at around 10% per year. This trend shows no sign of abating, and unless developers are able to create more land (which seems unlikely to say the least! ), there is no reason to expect it to change. Anyone who is considering buying property abroad needs to consider certain factors carefully to ensure that they are making a wise move. The French Riviera has a large number of advantages which means that it answers these considerations very well, and makes it a great place to invest in French property. The French Riviera is one of Europe's top holiday destinations and its climate and cultural attractions give it an all year round appeal too, unlike many other areas which can become ghost towns out of season. The lure of the Mediterranean is strong, and the beaches and marinas are superb, with warm blue seas and more than its fair share of sunshine (Property near Sailing Ports / Marinas in France). The towns are cosmopolitan and wealthy, ensuring that the area will always be well kept and increase in value. The rental potential of property here is excellent, and resale usually fast and simple with French nationals keen to purchase in the area as well as foreign buyers. French legal systems and buying processes make it one of the safest places in which to purchase property too, with none of the dangers of last minute let downs that characterise the market in some countries. All in all, the French Riviera is not only one of the world's most desirable places to own a property... it can also be one of the most accessible. A visitor to the site suggests that installing energy saving devices influences the running costs and re-sale value of a house. Remember the sun shines for many hours in the winter months, which can be cold. The ground seldom gets cold affording ground source heat and so on.